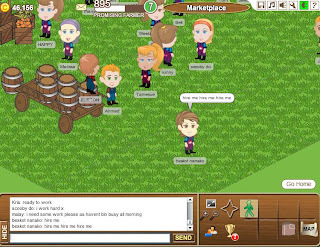 You need to have a facebook account and then, you can browse for this game. 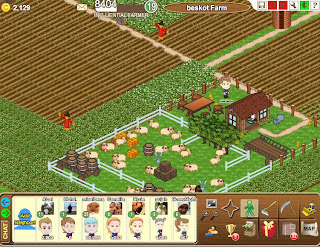 This game requires you to build a farm which you can plant seeds, trees, adopts animals, build homes for you and the animals. why this game is interesting? because you can chat with your friends like having a conference. You can get to know other peoples from other countries, besides you can visit their farms and discover how the other players manage their farms.